I have my "differences" with the accepted Biblical commentaries in a lot of issues. 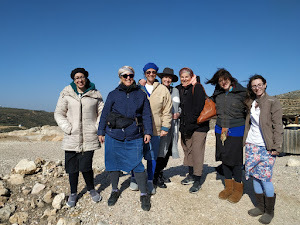 And I see things in the linguistics of the Tanach/Bible in ways that others don't. 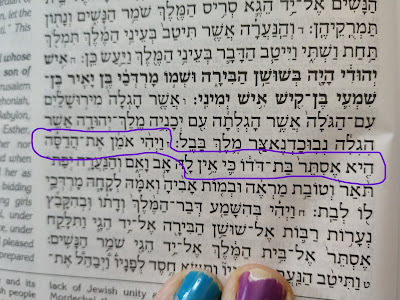 It's hard to say why, but for sure, one of the main reasons is that I didn't grow up with the "Torah stories" that most others grew up with. Almost everything I know about the Tanach/Bible I learned as an adult. Add that to the fact that my mind does work a bissell differently from others, and you shouldn't be surprised. 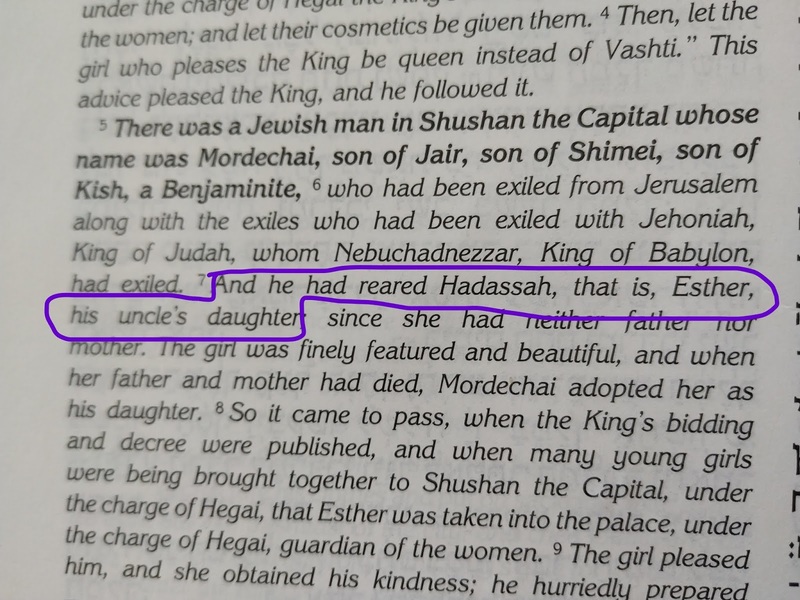 "And he raised Hadassa, actually named Esther..."
Standard commentary of her name is that her Persian name was Esther, but her real name was Haddassa. 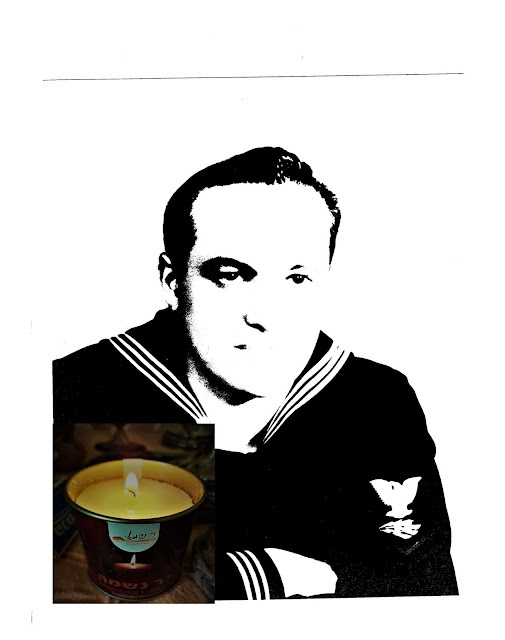 Did you answer "at night"? Think again, please. Stars are always surrounding the earth. It's just that daylight hides them. Clouds and rain hide them even at night. Yes, stars are mostly hidden. 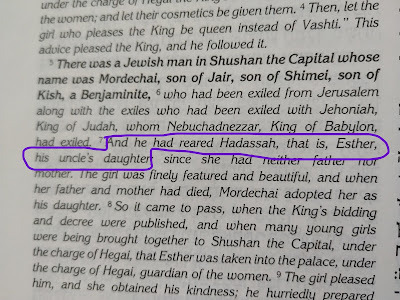 Not only did Esther hide her national identity when in the palace; she hid her intelligence, too. Ester was a woman of secrets, just like her name in Hebrew, Esther סתר , אסתר S-T-R means "secret." There's a linguistic theory that Hebrew is the root of all languages. What do you think? Vashti was "the elephant in the room." but that's a topic for a different blog post. Hebrew is the root of all languages. H' created the world with the Hebrew language, H's language. The author posits that many words in English (and Romance languages) are actually of Hebrew origin. I haven't read it in a long time but one example he gives is machsan, a storage room, as the source of magazine (container for ammunition) and magasin (French for a store). He may have written more than one book on this topic, and they have been criticized for making what the critics think are unreasonable connections, but it makes sense when you read it. Has Gantz - Hit The Fan?